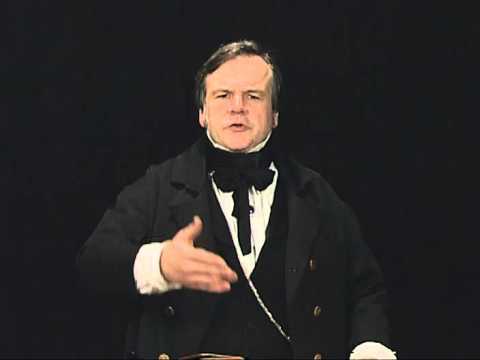 This film features Tom Kelleher, assistant curator of historic trades and mechanical arts at Old Sturbridge Village portraying the Revered Jedediah Burchard preaching an original 1835 revival sermon. Burchard who was born in 1790 was a Presbyterian minister who preached in Central and Western New York, Canada, and throughout New England. Burchard was a contemporary of Charles Granison Finney and the two clergymen both preached in an extemporaneous, familiar, yet colorful and emotional style which was very indicative of the Second Great Awakening. In the film the Reverend Burchard calls sinners forward to the "anxious seats" for special prayer and exhortation. At one point in the film he even kneels on the anxious bench. As with Charles Finney, these individuals would be asked to sit in the anxious bench in full view of all those in attendance. This was often a very controversial practice which Burchard himself mentions in the film. Despite the protests of more conservative Calvinistic ministers who would preach in a sedate and scholarly style, Burchard and Finney believed that strong emotions and controversial methods of calling forth sinners to repent was necessary in order to transform individuals and congregations. For more information about Old Sturbridge Village please go to www.osv.org. Restore unto me the joy of thy salvation, and uphold me with thy free spirit. Then will I teach transgressors thy ways, and sinners shall be converted unto thee. My friends, David, who spake these words, was a king. Myriads stood around him, ready to do his will. He cared not for worldly favor or popular applause. And, indeed, why should he? - for he possessed all that heart could wish. Yet although surrounded by these earthly blessings he had lost the joy of salvation. It was after his great crime - after Nathan had repeated before him the inimitable parable of the ewe lamb which pierced him to the very soul - it was then, I say he cried out in the language of the text: - ‘Restore unto me the joy of thy salvation, and uphold me with thy free spirit. Then will I teach transgressors thy ways and sinners shall be converted unto thee.' David had lost the free spirit of grace and cried to God for mercy. David felt right, my friends, - for what is a man without spirit? - what is a minister? A corpse! a spiritless corpse! - a lifeless piece of clay. What makes a corpse? The absence of the spirit. What makes a spiritual corpse? The absence of the Holy Ghost - the free Spirit of God! Now, many of this Church are in a cold state, I dare say. I don't mean to say they are worse than in other places, but I always find them so. My friends, how do you feel? I would ask you in a kind and affectionate manner, - how do you feel? Have you lost the joy of your salvation - are you stupid and lukewarm? Well, just turn to your Bibles and see what God Almighty says about Church members who have lost the joy of their salvation. [Revelations 3d chapter, 13th, 15th, and 19th verses,] - Hark! ‘He that hath an ear, let him hear what the spirit saith unto the Churches - I know thy works, that thou art neither cold nor hot. I would thou wert cold or hot. - So then because thou art lukewarm and neither cold nor hot, I will spue thee out of my mouth.' What a tremendous rebuke was this to the Laodicean Church! This Church is in the same situation. Hear what God says, ‘ye are lukewarm,' that is, nauseous like warm water taken into the stomach - so then, ‘I will spue thee out of my mouth.' And so he should too - for what can he do with a lukewarm, stupid Christian? Why, he is neither the one thing nor the other: neither a Christian nor an infidel. You all remember the beautiful story of Jacob's vision of the ladder. - how, when he was flying before his infuriated brother Esau, he was overtaken by night in the forest - how he laid his weary head upon the stones which he had heaped up for a pillow, and while he slept, with no lamps but the twinkling stars and no covering but the canopy of heaven, he had a dream, - he saw a ladder reaching from the earth to heaven, and the angels of God were ascending and descending upon it, and Jesus Christ, the angel of the Covenant was at the top. Now, this ladder represents faith. All of you have been up some rounds of it. There's a man says he has been up on the fifth, and is now on the third. Here's one who says he has been on the eighth round, and after having retrograded three rounds, now stands on the fifth. There's a man out yonder, says ‘I believe I've been up some rounds, and was once on the fourth.' Well, where are ye now, friend? ‘Why, to tell the truth, I'm flat on the ground!' Now friend, you who profess the religion of Jesus Christ - Wake up! - Wake up, and become ardent in the cause. Depend upon it, if you continue in your present lukewarm state, you come under the awful denunciation of Jehovah. You must have faith. God can't use ye without faith and he won't use you! - You must put away the sin of damning unbelief. Murder holds no comparison to the great sin of damning unbelief! There's a man, now - Let the minister ask him, Do you believe? ‘Why yes.?' - Well, have you got faith, friend? - What round are ye on? - He'll look him right in the face, and say ‘Why, really I don't know - I believe I haven't gotten much faith, but then you'll find we're all just so. All just so? How ridiculous this is. - There's a man from Manchester holds a promissory note against a merchant in Burlington. It becomes due, - he presents it. ‘Oh, I can't pay it' says he. Can't pay it! - Why not? - Aint you able? ‘O yes, - but we don't pay our debts here in Burlington. If you'll just take the trouble to enquire, Sir, You'll find us all alike in Burlington.' Well, you don't suppose this is going to going to excuse you, do ye? - Here Sir, I've got your promise and your signature and you must pay me. Now Friends, don't you see your being all alike don't excuse ye. The very moment the Church get out of the way, salvation will flow like a mighty river! When a man is under conviction, what shall he do? Why, the minister used to tell him to ready his Bible and pray. Now I don't want to do so, you will be apt to distract your minds and ultimately lose all feeling on the subject. Fasten your minds on a few, - two or three of the most prominent promises. One is as good as twenty - give yourselves up to Christ for him to rule and reign over you for time and eternity, and you shall obtain salvation. Suppose I was drowning, - had fallen overboard: - there were twenty ropes thrown out. I take hold of one, don't like it - try another, and another. I'll choose this one. No, that is more convenient. All this time I am growing weaker and weaker, and get benumbed with the cold, and at last sink down and am lost among all these chances of escape! Now, I should be a fool, shouldn't I, to throw my life away so? Well, the sinner acts just about as consistently when he thinks he's going to get salvation by reading his Bible merely. Do you want a revival here? ‘Why yes,' Well how are you a going to get it, if you have lost the free Spirit of God, and have no faith? ‘O we are going to pray. We'll pray in our closets and in our families, as we have done. We'll go to meeting and to conference.' Why, my friends, do you expect a revival on these conditions? Nonsense! ‘But we hope the blessing will come.' Hope it will come? God commands you to have it. If you want refreshing here - if you want sinners, who are exposed to the eternal wrath of God, to be converted, you must come to the determination to exercise faith. Faith in the Lord Jesus Christ. You must form the resolution! Faith's what does it. Make up your minds to do it. Before you can do anything you must form a determination. Why you couldn't have come to this house if you hadn't first determined to do it. Christians! You who profess to believe that sinners are exposed to eternal damnation, - you must get the joy of your salvation restored and pray, and get back the free spirit of God in your own hearts, or they will never, never, never be converted! Your only hope is in the Spirit of God. You can't talk to sinners without it, any more than I can. I wouldn't have come all the way here to Burlington to try and have these poor lost sinners converted, unless I had supposed that the Holy Spirit was here! Talk to a sinner about his eternal interests, without the joy of salvation and the spirit of God in your own hearts! Why you might as well talk to the armed rhinoceros or Norwegian bear! I believe God sent me here. I came to help your minister, and if the grace of God assists me, I will help him as a poor piece of clay. But to what purpose do I entreat the sinner to repent, if I have not God's eternal Spirit lighting up my own heart, and showing itself in my very countenance! I might as well entreat the lightings to stay their course! God help this Church to see their need of faith of the Holy Spirit. And now, sinners, - let me tell you, you are in the hollow of God's hand! - One single breath of the Omnipotent Jehovah would send you to perdition in a moment! God would be just in doing it, and all the hosts of heave would shout Amen! - Amen!! - Glory be to God! Yet he upholds you - guilty rebels, every breath you draw! Be ye reconciled to God is the command, and you must obey it, or you are lost forever. A Mr. ---, one of the converts at Middlebury, had been seeking God and reading his bible for 20 years. He came to the meeting - gave up his heart to Christ while sitting on that anxious seat, and fell into the arms of Jesus! And now, I want every man, woman, and child, (you in the gallery there too) to come forward and take these anxious seats. Come! Come forward! We won't hurt ye! [Comes down from the pulpit] Many a one blesses the day when he took his first step. Don't be ashamed of Christ! - Make room, there you old professors! - Clear those seats if you please! Come, we invite you to come forward. Christians will pray for you. God hears and answers prayer, don't he? May be you will get the blessing? MR. CONVERSE. Many regard this as a commitment. It is so. This is just what we want. Ought you not to commit yourselves at sometimes? Most certainly. MR. BURCHARD. Many have objections to this method of proceeding, but if any man can tell me a better way I will thank him. I certainly would thank him most kindly. Supposing a man has the fever and ague - he feels very cold. - He is a shivering round on the East side of the house and can't get warm. All he can do, he can't get warm. I raise him up and take him around to the South side. The sun pours down his rays, and he soon begins to feel comfortable. Before, he had only the light: - now, he has the rays. We have put him where he can feel. The man that takes these anxious seats will be apt to take them again, and again, till finally, he gives up his heart to Christ and goes home rejoicing. As brother Converse has just said, we want to get the sinner to commit himself. What are you doing there, Paul! Take care; - aint you committing yourself? ‘Blessed be God, I am,' says Paul. But aint you saying a little too much, when you declare that you will serve Christ whom you have just been persecuting. ‘No,' says Paul ‘I will do all I can to glorify his name, and thank God if I am counted worthy to suffer reproach for his name's sake.' Here's a committal. Paul the great apostle of the Gentiles committed himself. [Buchard mounts a bench.] Sinner! Hear what the prodigal says: - I've strayed from my father's house - I've wandered far from the path of duty. Here I am, all in rags - nothing to eat but these husks. I can't eat husks! Well, says I, why don't you go home to your father's house - he has bread enough! O says he, I can't do that. I can't commit myself. I'll do everything but that! - But finally, he musters his courage and sets out. It's done! - He arrives safe, and his father weeps and rejoices over his long lost son! So with the sinner. He's willing to do every thing but the right one. Willing to be any thing but a Christian. Now, sinners, I want to get your minds into the willing posture. I want to introduce a train of thought. Nothing is so well calculated to produce the desired effect as these anxious seats. I wouldn't have you think there's any virtue in a front seat, but by taking these you commit yourselves - you take the first step towards the kingdom of your Heavenly Father. To illustrate. Suppose I tell my son, ‘Henry, you must go and plough to-morrow.' To-morrow comes. Says I, ‘Henry, why haven't you ploughed as I told you?' ‘Father,' says he ‘I've come to a determination not to plough any more.' I urge him, he continues obstinate, and won't do as I bid him. ‘Well,' says I, ‘Henry if you won't do as I want you to, you must leave my house. - Here are fifty dollars, - take them, and don't let me see you again till you alter your course of conduct and become willing to obey me.' He takes the money and starts off. Well, he gets down to New York, - gets into a gambling house among sharpers, and before he knows it, loses all his money. It's all gone to the last penny. He sells some of his clothes, and sets out to come home. He is taken sick at Poughkeepsie and is obliged to stay there a long time. One night about 10 o'clock, - just as I am ready a chapter in the Bible before going to bed, - who should open the door but my son Henry. He walks right past me, and kneels - in the attitude of prayer. I could hardly believe my eyes - he was pale and emaciated, and his garments all tattered and torn. Says I, Henry, - did I not tell you never to let me see your face again till you have become a better boy? ‘Father.' Says he, ‘I am sorry for what I have done. I have been sick, and as I don't expect to live long, I have call all the way back to get your blessing before I die.' I see he is penitent; - his haggard looks tell me he is in earnest. I lay down my Bible, clasp him to my bosom, and he is forgiven in a moment! This is the very course you ought to take, my friends. Give your hearts right up to God your Heavenly Father, and he cannot refuse you salvation, - he has promised it and his promise shall stand forever.